All About the Benjamins. Plus, Dad-athon and Central Square's Greek Festival. This Saturday June 20th, Channel 9 is all about the Benjamins. At 12pm, watch Common Cents 2015, a financial education game show featuring 80 high school students from around Massachusetts, as they answer multiple choice questions about personal finance. Then, at 12:46pm, watch What is Money?, in which people around Cambridge discuss what money means to them. And, at 1pm, Money Matters, a theatrical production about financial crisis, produced by youth in the 2011 Mayor's Summer Youth Employment Program. To see the full day's lineup of programming about economy and finance, see our TV Schedule. On Sunday June 21st, celebrate the father figure in your life with a Fathers' Day Dad-athon of dad-themed shows. On Channel 8 from 8-9am and on Channel 96 from 1-2pm, watch pieces like Road to Memory by CCTV intern Chau Le, a short road trip film about a young woman who loses her memory, then meets a man on the road who helps her find her father. 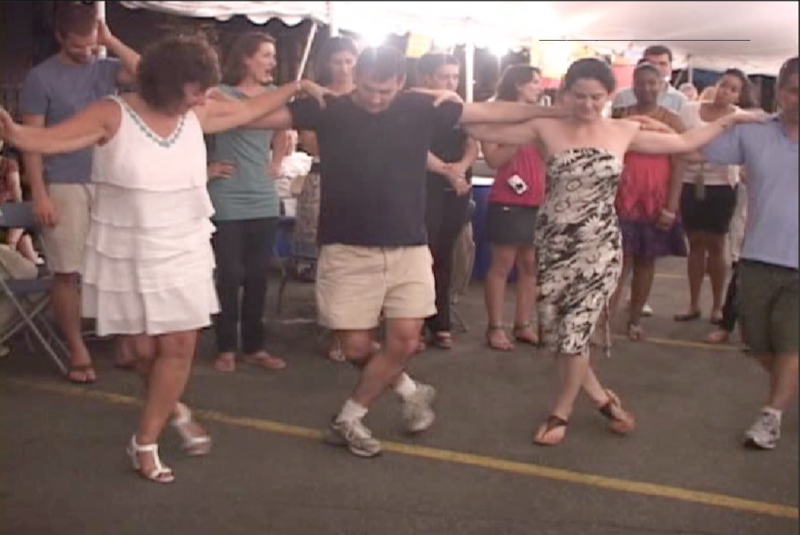 This weekend is also Central Square's annual Greek Festival, taking place at the Sts. Constantine and Helen Greek Orthodox Church on Magazine St., Friday, Saturday, and Sunday. Head out to the event, or watch footage from the 2010 Greek Festival by CCTV member Charito Suarez, Saturday June 20 at 3pm on Channel 8 and Sunday June 21 at 9:56pm on Channel 96. If you haven't yet, check out Cambridge Calendar, the show that pulls together details on all the best upcoming events in the city, so that you don’t have to. Tune in for this month's episode, on Channel 8 Mondays and Wednesdays at 6:30pm and on Channel 9 Sundays at 9pm and Fridays at 6:30pm.